BEIJING, Oct. 1 (Xinhua) -- Despite external uncertainties, the Chinese economy continues to power ahead, at a slower but more sustainable pace, with increasing market opportunities for the rest of the world. China's manufacturing purchasing managers' index (PMI) came in at 50.8 in September. The gauge of factory activity was down from 51.3 in August but has remained in the expansionary territory for 26 months in a row. The slowdown, along with moderating fixed-asset investment and industrial profits, has caused concerns regarding China's economy. Analysts, however, suggest the use of a long-term approach to feel the pulse of the economy, which is constantly growing due to four key factors -- economic fundamentals, growth outlook, resilience and policy incentives. Non-manufacturing PMI expanded at a faster pace, standing at 54.9 in September, up from 54.2 in August, according to the National Bureau of Statistics (NBS). The PMI readings confirmed a message revealed by a slew of other indicators, that the economy has stayed on the track of steady progress with sound fundamentals. Imports, a barometer of domestic demand, have been growing strongly, up 13.7 percent in the first eight months. Industrial output and retail sales both rose at a faster pace in August, though fixed-asset investment increases continued to slow. In the first eight months, over 10 million urban jobs were created and the surveyed urban unemployment rate was kept at a relatively low level of around 5 percent. Despite fluctuations of some indicators, NBS spokesperson Mao Shengyong said the economy had been generally stable with improving momentum for growth. The gross domestic product (GDP) expanded 6.7 percent in the second quarter, above the government's annual target of around 6.5 percent. The growth has remained between 6.7 percent and 6.9 percent for 12 consecutive quarters, highlighting its economic resilience. In the latest OECD Economic Outlook and Interim Economic Outlook, the organization maintained its forecast for China growth at 6.7 percent for 2018. China has been in a transition from investment and export-fueled development growth model to one that draws strength from innovation, consumption and service sector. "The new drivers have played a key role in sustaining growth, adjusting the economic structure and expanding employment," Premier Li Keqiang said when addressing the opening plenary of the Summer Davos in northern port city of Tianjin. Consumption has played a more prominent role in driving growth, contributing to 78.5 percent of economic expansion in the first half of the year. The proportion was up from 58.8 percent in 2017. The service sector contributed 60.5 percent of the overall economic growth in H1, 23.8 percentage points higher than the secondary industry. High-tech industries and equipment manufacturing, dubbed as new driving forces, are booming and attracting increasing investment, when growth of overall investment has been declining since the beginning of the year. Untapped potential solidifies the country's economic resilience and development potentials, experts have said. China boasts a workforce of 900 million, among whom 170 million have received higher education or training in professional skills, and more than 100 million are market players. Chi Fulin, head of the China Institute for Reform and Development, expects consumption market to hit 50 trillion yuan (about 7.2 trillion U.S. dollars) by 2020. 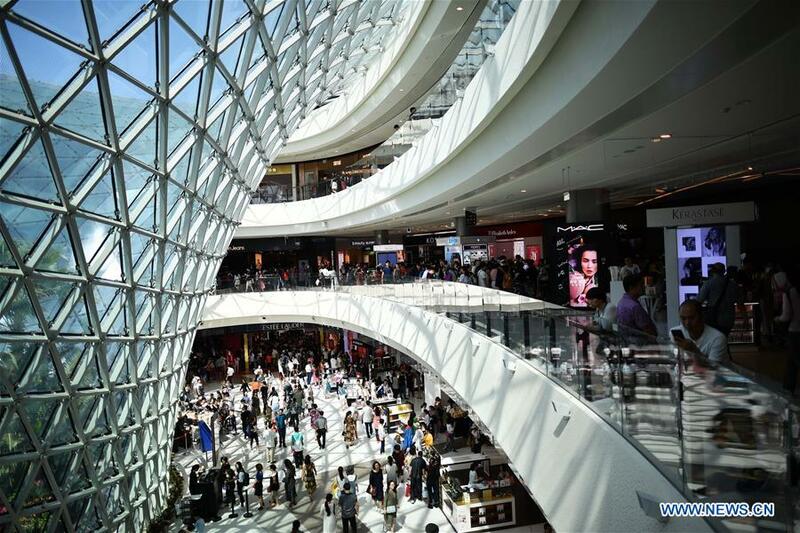 Besides consumer goods, Nicholas Lardy, an economist with Peterson Institute for International Economics, said China's large and still growing middle class was spending a growing share of their rising income on education, health care, travel and other services. "Urbanization is unlocking tremendous market demand and conducive to upgrading industries and boosting employment and investment," said Zhang Liqun, a researcher with the Development Research Center of the State Council, a government think tank. Citing favorable factors including huge market demand, abundant and increasingly competent human resources, vibrant entrepreneurship and innovation activities, and a reserve of innovative measures and policy tools for macro regulation, Premier Li Keqiang said that "all this gives our economy sufficient resilience, potential and space for maneuver. We have the confidence, ability and means to cope with the current difficulties and challenges." China owes its success over the past decades to reform and opening-up, and has pledged further reforms to improve the business environment, and wider opening-up to share its growth dividends with the rest of the world. The Belt and Road Initiative and the first China International Import Expo, scheduled for November, also demonstrate the country's determination to seek mutually beneficial cooperation with other countries. Besides efforts to boost longer-term development, China also announced a host of pro-growth measures, including enhancing financial support for small businesses, cutting administrative red tape and further reducing taxes and fees, to offset the strain from external uncertainties. The government has vowed to keep employment, the financial sector, foreign trade, foreign and domestic investments, and expectations stable. Supply-side reform supported by monetary and fiscal measures will help keep China's growth on track, the Asian Development Bank said in a recent report.